Chan eil dùmhlachd-bhreacaidh nas fhearr ri fhaighinn. 'S ann à Wikimedia Commons a tha am faidhle seo agus faodaidh gu bheil pròiseactan eile 'ga chleachdadh. Chì thu an tuairisgeul a tha aice air [duilleag tuairisgeul an fhaidhle https://commons.wikimedia.org/wiki/File:Karel-capek.jpg] gu h-ìosal. English: Photography of the Czech author Karel Čapek. The same photography was printed in Aftenposten 1936-07-13, also without author. 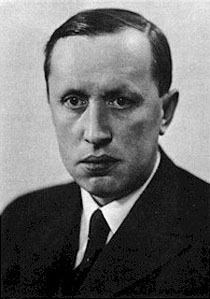 This image has been assessed under the valued image criteria and is considered the most valued image on Commons within the scope: Karel Čapek. You can see its nomination here. Air a tharraing à "https://gd.wikipedia.org/wiki/Faidhle:Karel-capek.jpg"